mjf has welcomed Dr Kirsty Fairclough as the new chair of their Board of Trustees. Kirsty, who is known for organising the world’s first international conference on pop star Prince in Salford, brings her passion for music and popular culture to Manchester’s longest-running music festival as they reach a critical stage in their future. 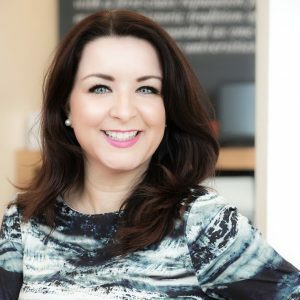 As Associate Dean in Research and Innovation at the University of Salford’s School of Arts and Media and a widely published author, Kirsty will use her years of experience in research and leadership to guide mjf as they embrace a new city centre location and new dates in 2019 and move towards their 25th festival in 2020.
mjf 2019 will take place from 23 – 27 May at a new location running from St Ann’s Square to New Cathedral Street and venues across the city. Kirsty said: “As a lifelong music fan, I’m excited to get the chance to help steer Manchester’s longest-running music festival as they reach this exciting point in their future. “mjf already has a reputation for bringing memorable, unmissable and surprising musical moments to Manchester each year. As we work towards the 25th festival in 2020, I look forward to bringing this diverse and wonderful genre of music and performance to new audiences. Joy Sewart – Director of Skills and Social Enterprise at Greater Manchester Chamber of Commerce. Lucy Scott – Creative producer specialising in artist development, event and project management, currently leading on Brighter Sound’s gender equality programme Both Sides Now. Elena Cavallero – Digital Development and Project Coordinator at XTRAX, an outdoor arts development organisation based in Manchester, and City Leader for Sofar Sounds Manchester. Nelson Beaumont-Laurencia – Head of Events and Sponsorship at Manchester BID and CityCo, specialised in the production and delivery of large-scale city centre cultural and retail events. Iain McKeith – Management consultant specialising in business and technology transformation across the public and private sector. Passionate about Manchester, jazz and all music including listening, watching and playing. Kirsty succeeds John Davies who stands down as chair of the board after three years. Also departing is Supertramp saxophonist John Helliwell who has served as a trustee since the early days of the festival. mjf Artistic Director Steve Mead said: “Both John Davies and John Helliwell have given so much to the jazz festival over the years and we can’t thank them enough for their years of blood, sweat and musical toil. “They have both been such passionate advocates of mjf and have given countless hours to make the festival the success it is today. The new mjf trustees join current board members Phil Cusack (vice chair), specialist in infrastructure development, director of a major UK property and infrastructure development group, Anita Weightman, solicitor and law firm partner, Clive Gawthorpe, accountant and taxation specialist, Nasira Majid, company director and property developer, Jill Taylor, Director of Stealth PR company, Jo McCallum, jazz musician and youth music advocate, and Peter Evans, venue operations consultant.